From 10.5 trillion to 5.25 trillion, the fund's asset management scale has dropped by nearly 50%. According to data released by China Securities Investment Fund Association recently, as of the end of 2018, the assets under management of private equity management business of securities and futures institutions totaled 22.66 trillion yuan, a decrease of 22% compared with 2017. Among them, the scale of the asset management business of the fund subsidiaries continued to decline, and the scale fell by nearly 50% in the past two years. 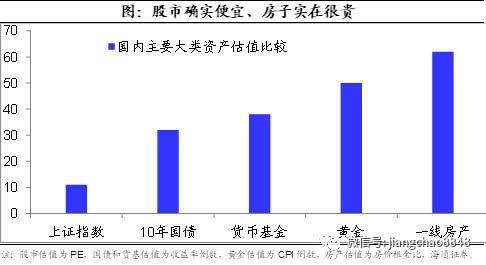 As of the end of December 2018, the assets under management of private equity management business of securities and futures institutions totaled 22.66 trillion yuan (excluding social security funds and enterprise annuities), which decreased by 6.37 trillion yuan compared with the end of December 2017, a decrease of 22%. Among them, the fund company's asset management business management scale of 4.37 trillion yuan, the fund company's special account business management scale at the end of 2017 was 4.96 trillion yuan. Judging from the monthly data, in December 2018, the securities and futures operating agencies filed a total of 597 products, with a scale of 101.823 billion yuan. Among them, the fund company has filed 128 cases, with a scale of 26.455 billion yuan, accounting for 25.98%. In addition, the fund's subsidiaries filed a total of 121, with a scale of 30.651 billion yuan, accounting for 30.1%. It is worth mentioning that since 2018, the asset management scale of the fund's subsidiaries has continued to shrink significantly. At the end of 2017, the fund's subsidiary business management scale reached 7.31 trillion yuan, and by the end of 2018, only 5.25 trillion yuan remained, and the scale fell by 28%. If compared with 2016, the gap is even more alarming. At the end of 2016, the fund's subsidiary business management scale was 10.5 trillion yuan. In other words, in the past two years, the size of the fund's subsidiaries has fallen by nearly 50%. Jinniu Wealth Network analyst Gong Manlin said that the decline in the size of the fund's subsidiaries is related to various factors such as tightening of channel business, fluctuations in revenue, and changes in regulatory policies. Since the initial fund subsidiary over-developed the “channel” business with its own “universal license” advantage, the proportion of active management business was not high, which led to the performance loss of some fund subsidiaries or the “explosion” of the business, and the risk control indicators needed to be improved. In December 2016, the China Securities Regulatory Commission issued the “Regulations on the Management of Fund Subsidiaries” and the “Interim Provisions on the Management of Risk Control Indicators of Fund Companies' Specific Client Asset Management Subsidiaries”, which made clear the net capital and risk management of the fund subsidiaries. Claim. Since then, the fund's subsidiaries have embarked on the road of adjustment. By the end of June 2018, the assets under management of the fund's subsidiaries had been reduced to 6.12 trillion yuan. Subsequently, the regulation clearly restricted the proportion of subsidiaries investing in a single asset, and it was more difficult for fund-specific subsidiaries to invest in non-standard businesses. An industry insider said that the overall thinking of the current regulation is to go to the channel, to nest, and the fund subsidiaries have thus cleared the channel business a lot, which has affected the scale of asset management. At the same time, the consequences of the rapid development of the past few years have gradually emerged. A few fund subsidiaries have not paid attention to risk control, and the products have successively “exploded mines”. In the future, more fund subsidiaries will seek to increase the active management of their business in order to better serve the real economy.